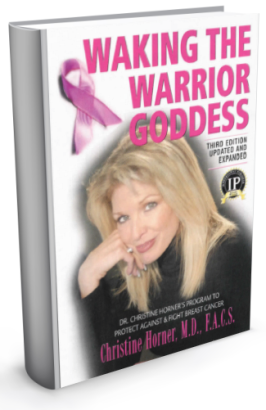 Dr. Christine Horner's 30-Day Program to Extraordinary Health, Beauty and Longevity. Do you fear growing older because you think your mind and body will start to falter? Do you imagine that one by one your organs will begin to fail-first your eyesight will go, then your joints, your mind, your skin tone, and ultimately your heart? But what if there was another option-a way to age gracefully and beautifully, and stay radiantly healthy, vibrant, limber, and strong? Board certified plastic surgeon and expert in natural health, Dr. Christine Horner, says no matter what you were dealt in the genetic lottery-and no matter what your age-you can enjoy a long life of radiant health and ageless beauty. And it can be simple, fun, and adventurous. Using the principals of Ayurveda, a 5,000 year old system of medicine, along with the latest cutting edge research, Dr. Horner tells you exactly what you need to avoid and what you need to embrace to experience extraordinary health and longevity. 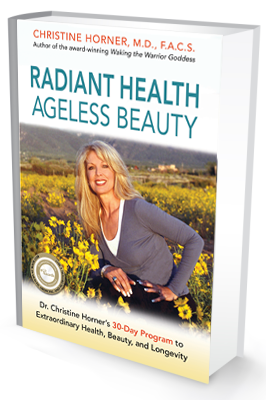 Radiant Health, Ageless Beauty sums up with Dr. Horner's 30-Day program for extraordinary health, beauty and longevity. Each day presents a new habit for you to implement into your life. An extensive resource section lists contacts for obtaining all the foods, supplements, products and programs that can stack all the odds in your favor of enjoying a long life and staying vibrant, strong, and happy. "Read on if you desire a healthy, youthful glow staring back at you in the mirror." "Integrating 5,000-year-old principles of Ayurveda with the most current science on health and longevity, Radiant Health, Ageless Beauty is a treasure trove of wisdom that will help you age with grace and strength." Published By: Elgea Publishing, Inc. Breast cancer has reached epidemic proportions in the United States. Once a relatively rare disease, it now affects 2 to 3 million American women. What can we do to protect ourselves? Christine Horner, M.D., has the prescription: Eat healthy foods, add a good dose of certain supplements, get the rest and exercise we need, and avoid things that are bad for our bodies. We each have a Warrior Goddes in us, and it's time to set her free. 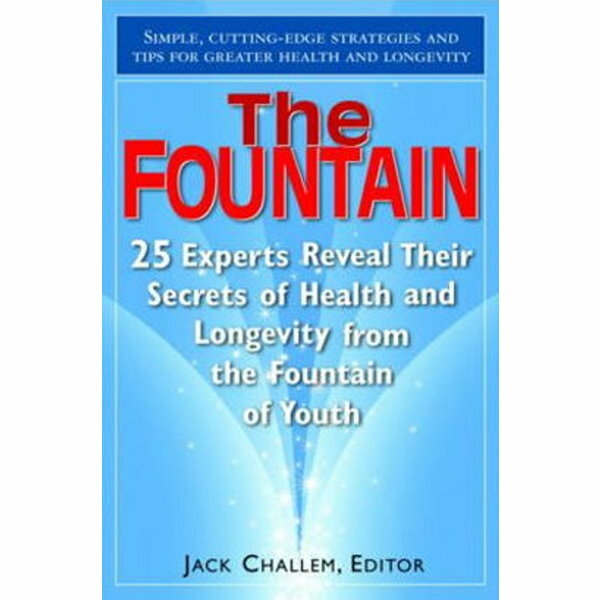 For millennia people have been searching for the elusive fountain of youth-the key to living a long, healthy, productive, and fulfilling life. Is it merely a matter of luck or good genes that some of us reach advanced years free of disease, debility, and disability? Or are there proven strategies that we can adopt to make our lives longer, stronger, and altogether more rewarding?